The exam is conducted at a third party testing area. Read the ‘Candidate Bulletin’ and comprehend the information stated therein. The bulletin will tell you important details regarding the exam including the things you need to do before and after taking the ICC Masonry Plan Exam. A Structural Masonry Special Inspector has a number of duties and one of them is to ensure that the contractor strictly implements the approved materials, such as the reinforcement being placed as per the plans properly. A candidate should be familiar with the tools and steps that will be found in any set of plans and also used not only in the field but at this important time, during the examination. In relation to that, the exam is an open book type so examinees can take pertinent materials with them such as the 2009 International Building Code and the 2009 Masonry Codes and Specification Compilation. Familiarize yourself with these references along with other prescribed reference materials to build navigational skills. A special inspector is also expected to understand important terminology related to the masonry construction industry. Therefore, a candidate must improve his or her memory ability and learn how to interpret and decide which the proper use is. By doing this small step it will increase your chances of passing the exam. Part of the exam is to identify symbols and abbreviations found on building plans so candidates must know these symbols to get the passing scores. You would also need instruments such as a calculator and a magnifying glass to help you figure the required bed joint size and also read the plans to answer the questions more competently. In closing, learn how to manage your time. Examinees are given 3 ½ hours to complete the exam. 2 hours should be allotted to answer questions related to building plans. If you find yourself in need of guidance to make sure you are able to do this often overlooked step. Passing the Sheriff’s Deputy Exam is a key component to becoming a police officer. It doesn’t matter which department you want to work in, whether you want to work for the county or the state, if you don’t pass, you don’t play. There are ways to outperform the competition to become a Sheriff’s deputy, and that competition is fierce. By studying. It seems so simple, yet so many candidates don’t do it. There are ways to prepare yourself for the exam, so that you can put yourself ahead of the rest. The best way is to get a police exam study guide that has practice exams in it. Study this guide and take the practice exams. Both of these things will help you in your preparation for the test. Here is an example of a question you might see on the Sheriff’s Deputy exam, answer this question and use good judgment and see if you come up with the same answer that I give below. You are dispatched to a domestic disturbance between a husband and wife. Upon arrival, there are already two deputies on the scene fighting with the husband. When you run over to assist, the wife charges you with a broken bottle in her hand. You tell her to drop the bottle, but she refuses and continues to advance in a threatening manner. Because the wife refuses to comply with your verbal command, what is your next course of action to stop her advancing and put the bottle down? The correct answer is what you would logically do. If you go for deadly force, that is probably not a wise move, as even though she has threatened you, she has not attacked you. The next logical solution is to move up to the next level of force, and retrieve the taser gun, and/or the hand held baton. As a HR, you must know that if there’s something wrong with one link of the process, the whole recruiting thing would turn out to be a different result. And recently I have done some research about the exam and testing link. I found out that most HRs of minor corporate are having problems with their hunting area because of fund limit. Actually now most large enterprises were using online test in their recruiting process, especially for the busy recruitment season. This is really a good method that minor corporate can use for reference. According to authoritative analysis, the cost per hire contains six basic elements: advertising; agency fee; referral bonuses paid to employees; travel costs incurred by both recruiters and applicants; relocation cost; company recruiter cost. These six factors account for 90 percent of the costs to hire. The additional 10 percent cover miscellaneous expense items such as testing, reference checking, bonding, hiring-unit staff time, administrative support and other minor expenses. 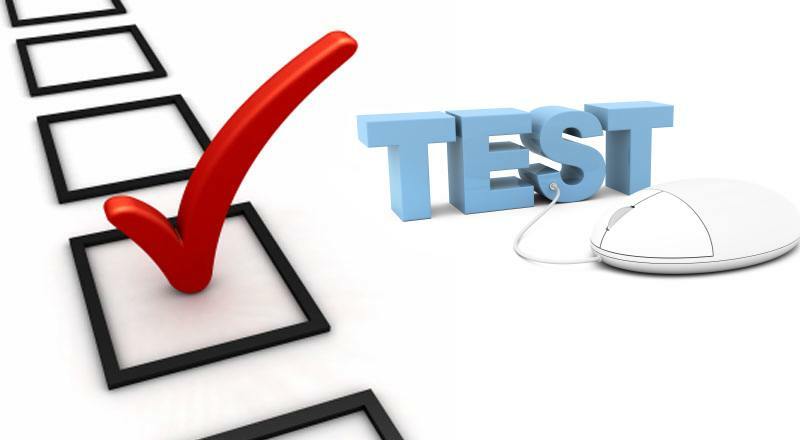 Online test will first cut the cost to organize tests. You don’t need to gather all the candidates and hand out your test paper anymore, not even phone calls and faxed test papers. Just make the tests and publish them online for every candidate to obtain anywhere, convenient, money-saving and eco-friendly. This is just a small saving. What’s more, using online test can cut part of the travel cost. This means at the first stage of recruitment, both recruiters and applicants don’t need to travel for the basic knowledge tests. And after preliminary test, the number of qualified candidates would decline. Then the company only needs to pay for the travel costs for interview. You can send the address of your online tests to all the candidates. Since there’s no need to travel for a test with an unknown outcome, more persons would be willing to participate. In this way, your selecting area becomes bigger. And through the tests, you will know better about all the applicants and can choose more appropriate ones for interview. Normally a good test maker tool can prevent online cheating. So you will know that your test results are effective. And with a good test tool, you can track the quiz results online and get a result report which clearly show you the distribution of all applicants’ scores. You don’t need to calculate the scores anymore, a saving of labor again. Many big companies often would have a learning management system (LMS) for them to organize different kinds of test, not only the recruiting test but also the training tests or other internal assessments. For minor corporate that can’t afford the expensive LMS, there are test maker tools such as ProProfs, Articulate QuizMaker and Wondershare QuizCreator, etc that can meet your need. QuizCreator has a proper price for small companies and can create rich question types. The Office-like interface and theme-based player templates can make the recruiting tests look very professional. And it get all the elements to prevent online cheating such as domain control, time control, access control, limited answer attempt, etc. It also provides a FREE Quiz Management System for you to manage all the quizzes, quiz publishers and quiz takers respectively. Now, as more and more graduates come out to look for jobs, another busy recruitment season is beginning. Using online test to save the cost and expand your searching area, you will definitely do better in your recruiting work.